Do your bottle has odor, just drop G-Away packet, rinse it and experience the result that odor has gone. G-Away is unique patent approved bottle cleaning solution for big or samll bottles. G-Away washes away green, stain and odor from Water Bottles, Starined Office Coffee Cups, Juice Bottles or Any Containers. 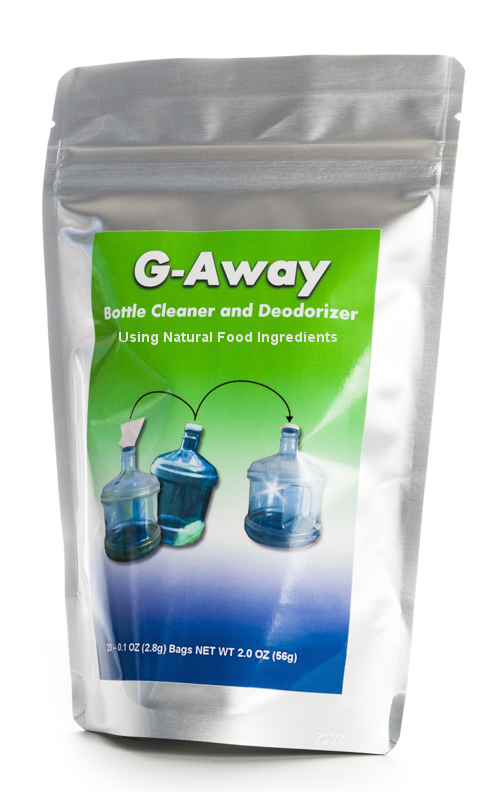 G-Away bottle cleaner is perfect cleaning solution for narrow mouth bottles or containers. This has been designed and experimented for stained office cup cleaning. There is no way to put your hand and clean the bottle, just drop the G-Away sachet inside the bottle and rinse it, your bottle is clean and ready to use without much effort. Don't use dish washing soap to wash inside the drinking water bottles, it's hard to remove the soap from the bottle, you will end up waisting lot of water and energy. 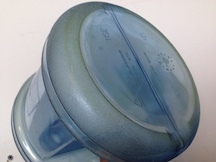 Most bottle cleaners are made of many chemicals which is harmful. 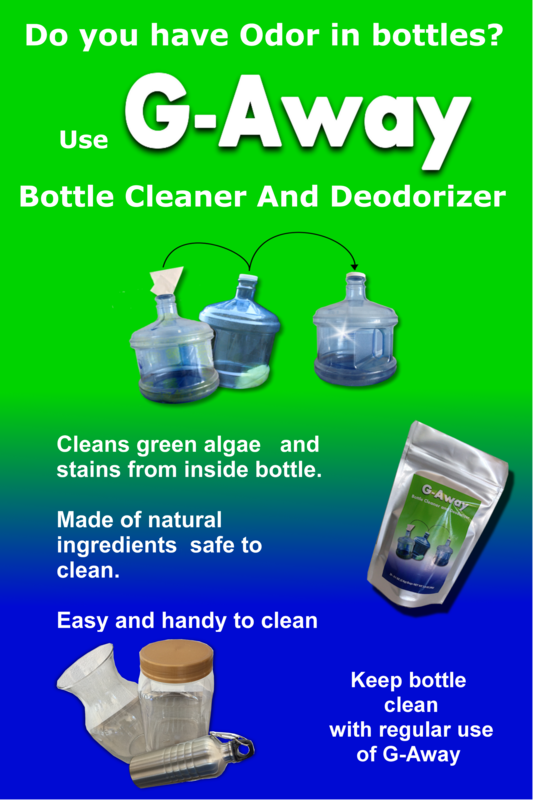 G-Away bottle cleaner is natural, you can find the content on the label in simple language. Dishwashers can't clean narrow mouth bottles and sometimes it's not safe to clean the bottles using dishwasher unless it's written on the bottle. Bottle Cleaner - G-Away is safe, easy and quick to use.You don't have to spend more time like 15 minutes to half hour to clean the bottle. 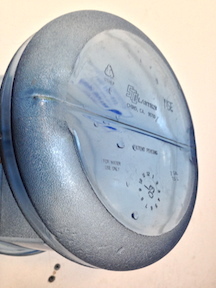 Most water bottles come with narrow mouth and dish washer may not clean it properly. Most people never have a time to rinse it properly before packing. Some water bottles can't be dish washed. In such cases, G-Away bottle cleaner comes in handy. G-Away bottle cleaner comes with 20 sachets in a pouch. Just drop one sachet inside water bottle, in case of small bottle add 2 cups of water otherwise add 4-5 cups of water inside a big water bottle like 1, 2, 3 gallons or 5 gallons water bottle and add a kitchen paper towel inside the big bottle and shake it for 1 minute all sides. 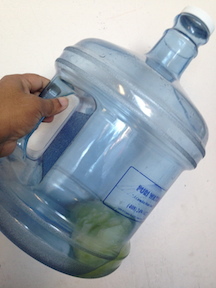 Trash the water and paper towel/sachet and then rinse the bottle with fresh water. Repeat the process if it's too dirty. Thick sugar stained coffee/tea cups can be cleaned quickly using g-away cleaner.Just drop a packet, add little water and stirr. You don't need to use stinky, stainy used brush anymore. Note: The retailers from the following states are authorized to sell/distribute g-away bottle cleaner. Authorized States To Sell: CA,AZ,AR,FL,GA,HI,IL,MA,MN,MO,NV,NJ,NE,NY,TN,TX,WA,WI - All other states not in this list are not authorized to sell g-away in-store or online. Please contact us, if you want to distribute from other states than this list.